Though these black and white mammals are cute as can be, they are most commonly known for the smelly order they shoot from their rear. 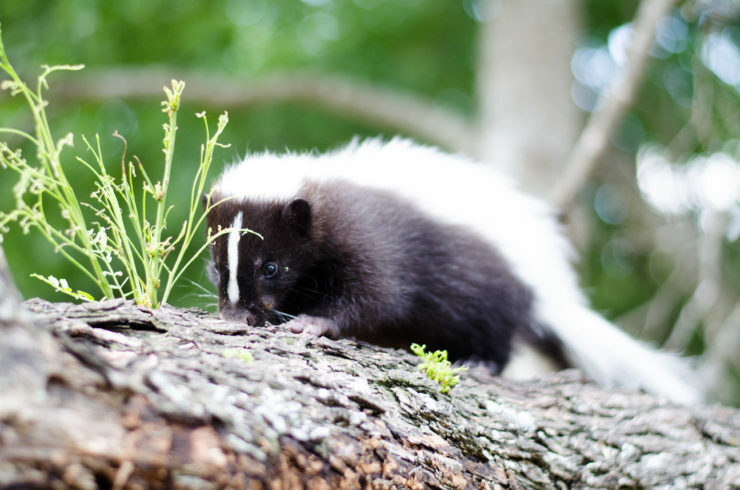 When frightened, a skunk will life its tail, stomp its foot and— when necessary— spray a smelly order from their rear to scare off predators. 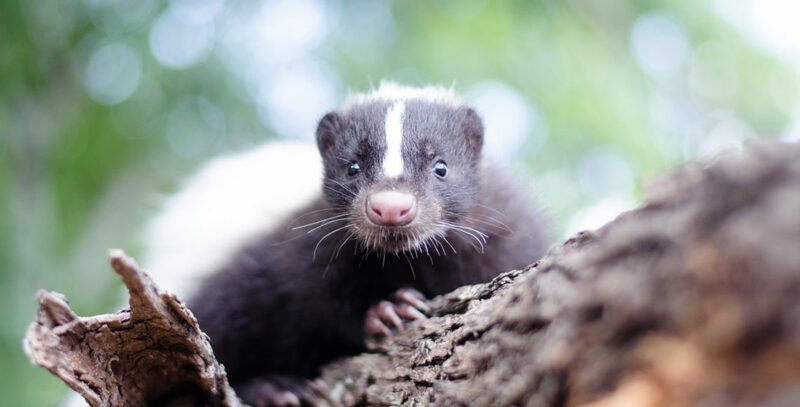 The odor can reach distances up to ten feet and will string the predator’s eyes and nose. The striped skunk is native to Canada, the United States, and northern Mexico and live in forests, grasslands and open prairies, usually close to water. 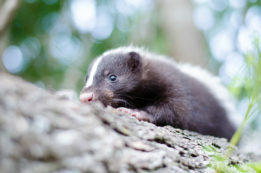 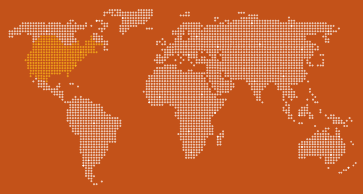 Because they are easily adaptable, they also frequent urban areas like towns and cities. 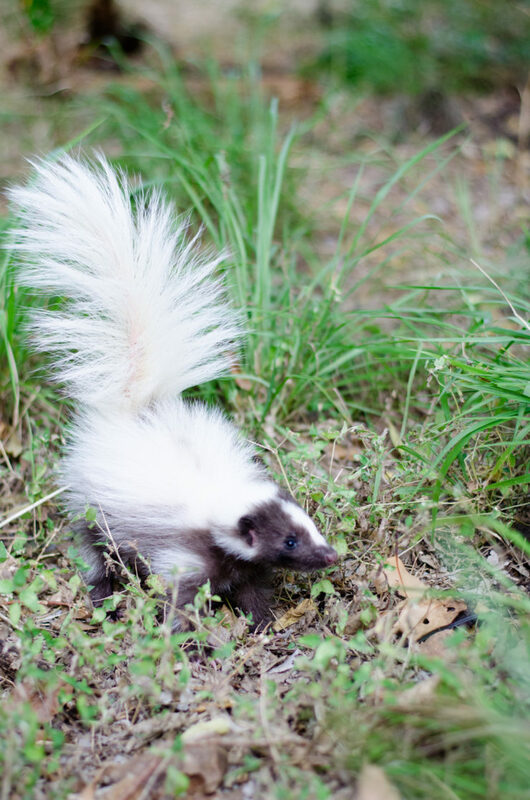 Skunks are an omnivorous animal and feed on insects, grasses, leaves, grains, nuts and fruits.